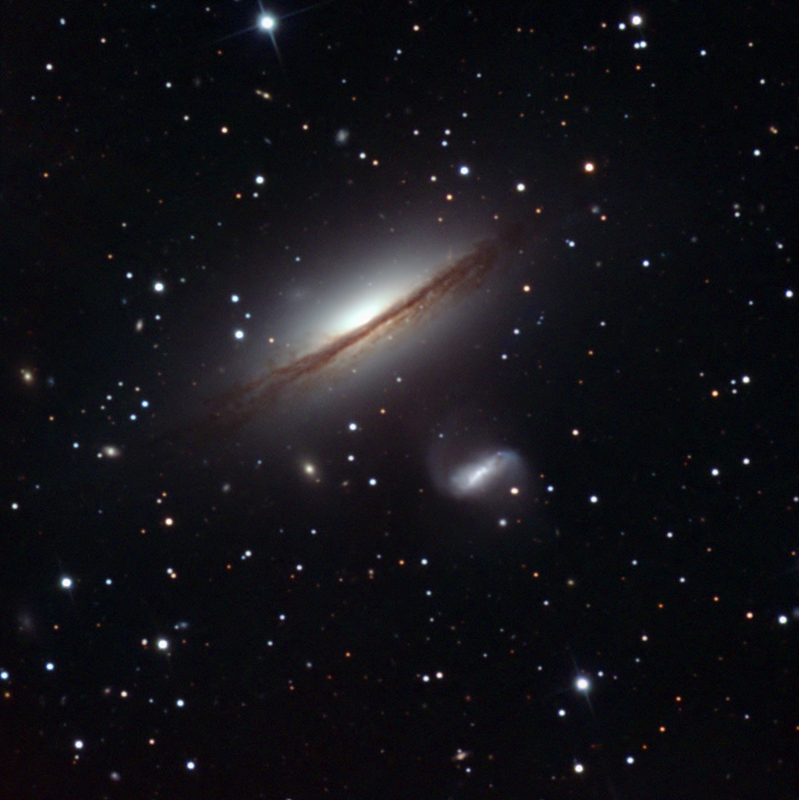 NGC 5078 is a lenticular galaxy in Hydra seen here edge on. An "S" shaped dust lane, the prodict of tidal forces between this galaxy and the smaller IC 879 is readily visible. These same tidal forces have warped the prominent dust lane that cuts through the center of NGC 5078.